Aware of how mystifying his behaviour can appear to others, Higashida describes the effect on him of such commonplace things as a sudden change of plan, or the mental steps he has to take simply to register that it's raining. Throughout, his aim is to foster a better understanding of autism and to encourage those with disabilities to be seen as people, not as problems. Naoki Higashida was born in Kimitsu, Japan in 1992. He was diagnosed with severe autism in 1998 and subsequently attended a school for students with special needs, then (by correspondence) Atmark Cosmopolitan High School, graduating in 2011. 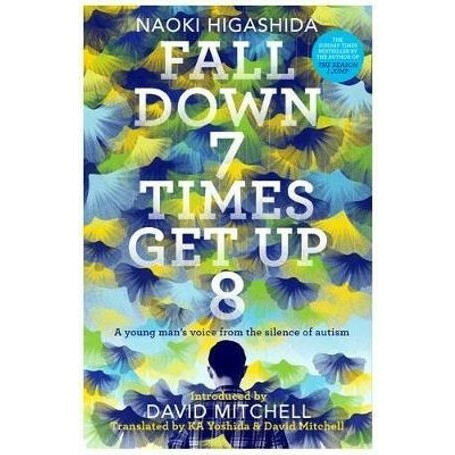 Having learnt to use a method of communication based on an alphabet grid, Naoki wrote The Reason I Jump when he was thirteen and it was published in Japan in 2007. He has published several books since, from autobiographical accounts about living with autism to fairy tales, poems and illustrated books, and writes a regular blog. Despite his communication challenges, he also gives presentations about life on the autistic spectrum throughout Japan and works to raise awareness about autism. In 2011 he appeared in director Gerry Wurzburg's documentary on the subject, Wretches & Jabberers.